Quality PPU Pistol Rounds from Prvi Partizan, a leading Serbian manufacturer since 1928. Whether you're a soldier, law enforcement agent, competitive shooter or citizen, PPU Ammo is good stuff, and highly affordable. 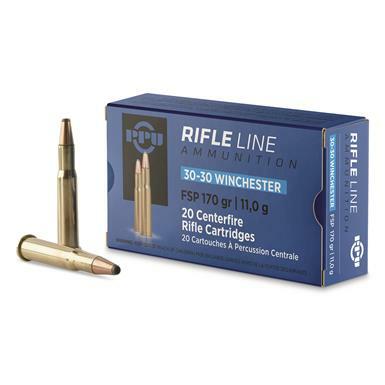 PPU Rifle Line, .30-30 Winchester, SP, 170 Grain, 20 Rounds is rated 4.6 out of 5 by 47. Rated 5 out of 5 by Arthur from Good Price Surprisingly accurate. Rated 4 out of 5 by JIM BOB 88 from PRVI PARTIZAN 30-30 WINCHESTER 170 GRAIN WORKED WELL FOR ME, NO MISFIRES. STAYS ON TARGET. LOADS ANDEJECTS WELL. NO HANGUPS. WOULD BUY AGAIN. Rated 5 out of 5 by RandyTN from Reliable and accurate Reliable and decent accuracy for the price. Hard to go wrong with this one. 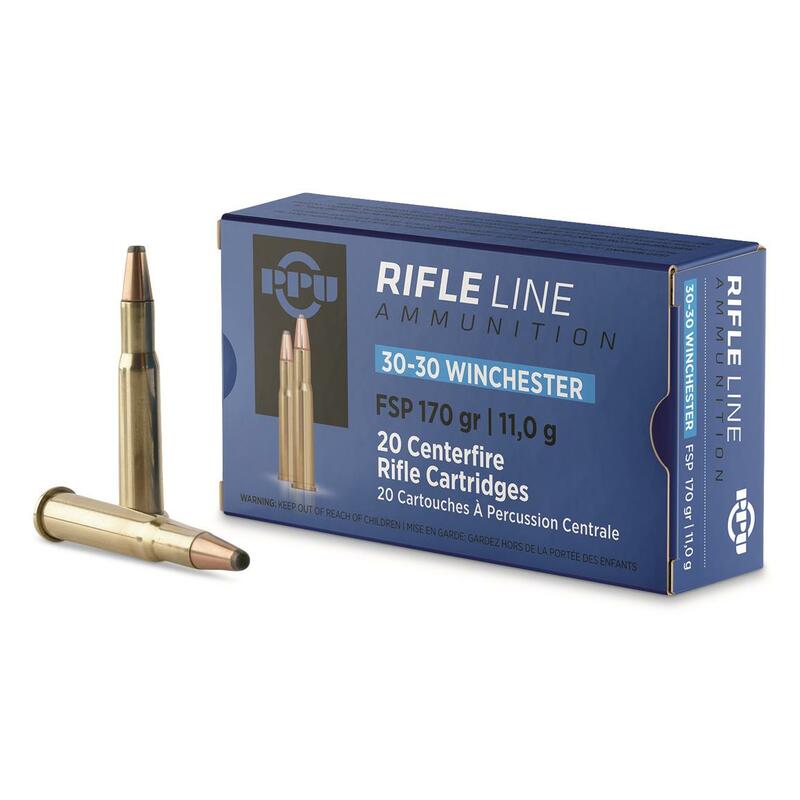 Rated 5 out of 5 by Eclypse from PPU 30-30 Ammo This is great ammo at a great price, no FTF, no misfires, no jams just hard hitting ammo i need to hone my skills so i can take a deer this year!! Rated 5 out of 5 by NateDog from Reliable ammo at a very good price! Shooting these through a lever-action Rossi at some metal targets at 100 yds. They go bang every time and really wallop those plates! Rated 4 out of 5 by Karen from Sportsmans Guide Products and prices excellent - Fed Ex service not good. All orders thru Sportsmans Guide so far been excellent products/prices. Fed Ex service as usual not so good (and it's nothing to do with bad weather in other areas, sits usually 4 or 5 days in "Davenport FL" an hour away.